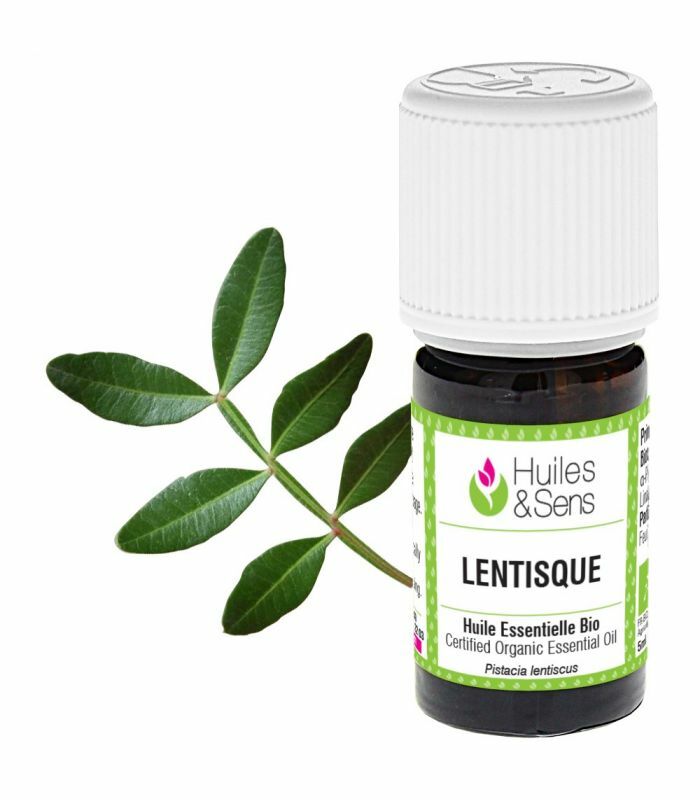 Mastic Organic Essential Oil - Pistacia Lentiscus L.
Nom botanique Pistacia lentiscus L.
Mastic essential oil (organic) (2 drops) + Juniper essential oil (organic) (2 drops) + mediterranean cypress essential oil (organic) (2 drops) + Helichrysum essential oil (organic) (2 drops) + Celery seed essential oil (2 drops) + Calophyllum Oil (organic) (4 drops) + Rosehip Oil (organic) (4 drops) . Mix essential oils with vegetable oils and apply to areas 3x/day until improvement. Mastic essential oil (organic) (12 drops) + thyme thujanol essential oil (20 drops) + mediterranean cypress essential oil (organic) (12 drops) + Helichrysum essential oil (organic) (12 drops) + Calophyllum Oil (organic) (2 ml) . Make this mixture into a 10 ml vial. Apply 3 drops of this mixture on the areas to heal 3 times a day until improvement. Mastic essential oil (organic) (0.5 ml) + Niaouli essential oil (organic) (1 ml) + Peppermint essential oil (organic) (0.5 ml) + Juniper essential oil (organic) (1 ml) + mediterranean cypress essential oil (organic) (1 ml) + Patchouli essential oil (organic) (1 ml) + Calophyllum Oil (organic) (50 ml) . This lotion to be prepared by yourself is to be applied to the legs, in an upward massage (from bottom to top). Perform 2 massages (once in the morning and once in the evening) for 5 minutes. Mastic essential oil (organic) (6 drops) + Niaouli essential oil (organic) (6 drops) + mediterranean cypress essential oil (organic) (6 drops) + Juniper essential oil (organic) (6 drops) + Peppermint essential oil (organic) (6 drops) + Jojoba Oil (organic) (20 drops) . Mix all components and put them in an opaque bottle. Massage from the foot to the thigh, 3x/day until improvement. Mastic essential oil (organic) (2 ml) + mediterranean cypress essential oil (organic) (1 ml) + Cistus essential oil (organic) (1 ml) + Peppermint essential oil (organic) (1 ml) + Evening Primrose Seed Oil (organic) (20 ml) + Aspic Lavender essential oil (organic) (2 ml) + Helichrysum essential oil (organic) (2 ml) . In an amber glass bottle 30ml, mix all oils and apply up to 5 x/day. Mastic essential oil (organic) (2 ml) + Helichrysum essential oil (organic) (2 ml) + mediterranean cypress essential oil (organic) (2 ml) + Sage essential oil (organic) (2 ml) + Calophyllum Oil (organic) (5 ml) . Mix ingredients and massage the lower back from the outside to the inside in a circular motion and then the solar plexus in the same manner. Renew 3x/day for 1 month. Mastic essential oil (organic) (2 drops) + Tarragon essential oil (2 drops) + Helichrysum essential oil (organic) (2 drops) + mediterranean cypress essential oil (organic) (2 drops) + Sweet almond oil (organic) (10 drops) . Pour ingredients in a small 5-ml vial. Take 4 to 5 drops and massage around the ear 3x/day. 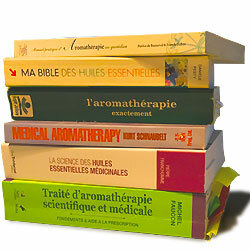 Mastic essential oil (organic) (2 drops) + Tarragon essential oil (2 drops) + Sweet almond oil (organic) (10 drops) . Massage the lower abdomen morning and evening a few days before and during menstruation. 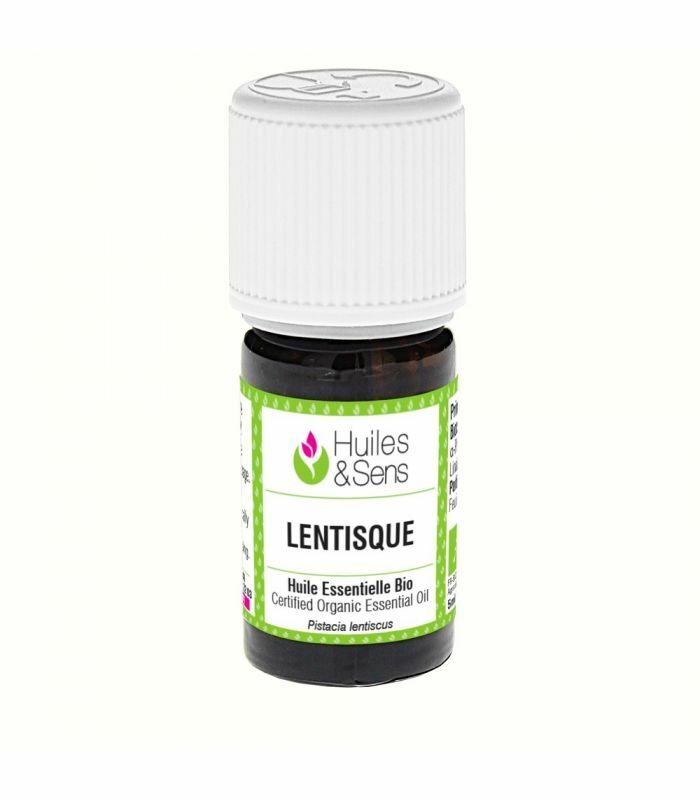 Mastic essential oil (organic) (1 ml) + Patchouli essential oil (organic) (0.5 ml) + mediterranean cypress essential oil (organic) (1 ml) + Helichrysum essential oil (organic) (1 ml) + Lemongrass flexuosus essential oil (organic) (1 ml) + Calophyllum Oil (organic) (20 ml) . Mix all ingredients in a bottle of 50 ml. Apply a few drops of this mixture and massage the lower abdomen, twice a day for 3 weeks. Mastic essential oil (organic) (2 ml) + mediterranean cypress essential oil (organic) (2 ml) + Helichrysum essential oil (organic) (1 ml) + Macadamianut Oil (organic) (10 ml) . Apply a few drops on the legs and massage from the bottom upwards. Proceed in the same manner by massaging the arms.